T-Mobile customers are probably ecstatic to know that the HTC Sensation 4G is looking to land on the carrier’s lineup starting on June 8th, but now that we have word about the Samsung Gravity Touch 2 also launching on the same day, it utterly screams like it’s going to be an all-around great day for the Big Magenta. However, the fun isn’t ending there with those two devices – definitely not! 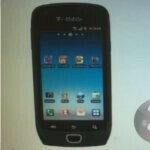 Yet again, we’re seeing another leaked internal screenshot indicating that one more device is going to complete the trifecta for T-Mobile on that day. Previously, we’ve been taunted with images of the Samsung Exhibit 4G, which was hinted to be packing a 1.4GHz ARM 11 processor. However, it appears that it will be sporting nothing more than the usual 1GHz Hummingbird processor that’ been in use with a variety of Galaxy S smarthpones. Still, the handset should perfectly align itself with the other two devices, the HTC Sensation 4G and Samsung Gravity Touch 2, since it’s launching on the same day – June 8th. 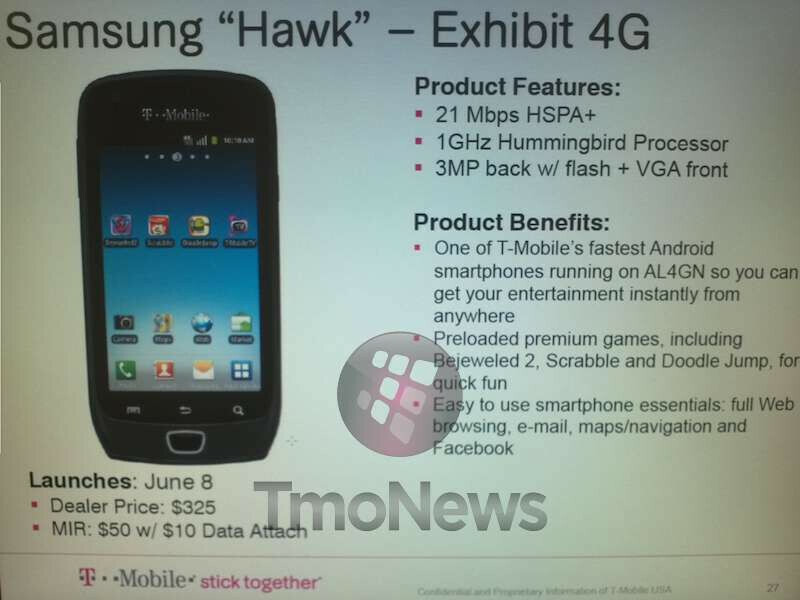 Moreover, the handset is going to be T-Mobile’s third 21Mbps capable HSPA+ device, and features other things like a 3-megapixel camera with flash, front-facing camera, and will be preloaded with a variety of premium games. Lastly, there is still no word regarding actual pricing, but it wouldn’t surprise many to see it around the $150 on-contract mark.